Check out some of the coolest aviation products from 2017! It might seem as though Lightspeed has been around forever, but compared to most of its headset competitors, it’s a newbie. That hasn’t stopped the company from continuing to up its game and, to its great credit, try new things, too. 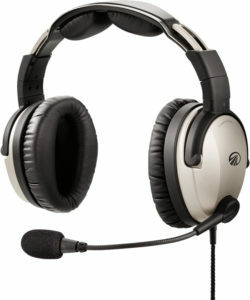 The Zulu 3 ($850) active noise canceling headset, introduced early in 2017, is, by all outward appearances, simply a refinement of the company’s most popular Zulu 2 model. But behind the scenes, Lightspeed designers were busy making it not an enhanced model but a completely reengineered lightweight premium headset. The Zulu 3 is comfortable. With completely redesigned titanium domes with more room for the ear to fit and more depth thanks to an angled earpad, the Zulu 3 feels more solid, more snug, and, for lack of a better way to describe it, more like it’s not even there—which is the ultimate compliment for a headset: it makes your life in the cockpit easier and you forget that you’re wearing it. Another nice addition is heavy-duty cables with sturdy woven covering—which Lightspeed borrowed from its Tango headset. When we used the Zulu 3 in flight, the Bluetooth worked great, and the sound quality of the radio audio was excellent both coming in and heading out, too. With this headset, Lightspeed has created a product that is without any apparent weaknesses, and it’s done it at a great price for a premium headset. There’s no doubt that the Zulu 3 is another hit for Lightspeed. Learn more at Lightspeed Aviation. Last spring, Garmin introduced a brand-new standalone solid-state flight instrument at a remarkably low price. 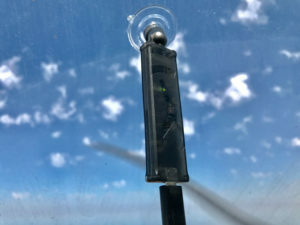 That product is the G5 ($2,499)—not the attitude instrument that Garmin launched last year but an HSI that incorporates its own attitude and heading sensors so when it’s installed in a dual G5 configuration, it can revert to an attitude indicator in what Garmin rightly calls the “unlikely event” of a failure of the other instrument. The G5 can also serve as the primary nav reference when paired with an approved nav source, such as a Garmin or other compatible multifunction navigator, like the GNS 430W or newer GTN models. Included in the price is the instrument, a magnetometer, backup battery and the STC to install the unit. 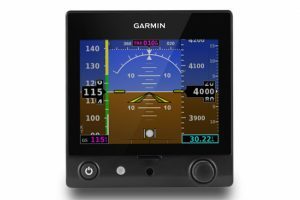 Garmin is also offering a dual package with both attitude and DG/HSI instruments and related accessories and approvals for an expected internet price of $4,598. The displays are approved on a multi-aircraft list of over 600 planes. When it comes to flight jackets, it’s always difficult to pick a favorite, but the Pilot Wings G-2 Leather Jacket ($299) from Sporty’s definitely caught our attention. 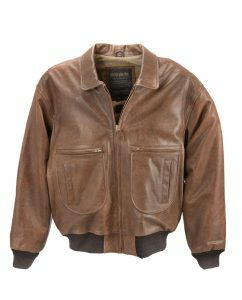 This jacket is made in the image of its WWII bomber jacket predecessors. It features distressed goat leather, cotton lining and knitted wool cuffs and waistband to keep out the wind. With two zippered front pockets and an inside snap pocket, this jacket also has plenty of secure places to tuck cell phones, extra pens and your in-flight candy bar. Underarm gussets and bi-swing back provide room to move in the cockpit. Leather for the flight line has its strong points: it creates a solid windbreak, is streamlined enough that with a good sweater underneath you can avoid the marshmallow-stuffed-into-a-thimble look that happens when a pilot tries to get into a small cockpit in a traditional winter coat, and most ramp dirt will brush right off. Bomber jackets also have the benefit of long tradition. The downside is that leather can stain when it encounters avgas. It also soaks up the smell, but at least everyone will know the jacket is being worn by a real pilot or auto-mechanic. The Pilot Wings G-2 Leather Jacket is part of the Pilot Wings Leather Collection offered at Sporty’s. The collection also includes flight bags, wallets and shaving kits. Learn more at Sporty's Pilot Shop. Besides its stellar performance (we tested it), one of the things that makes the ForeFlight Scout ($199) dual-band ADS-B receiver stand out is its size. The Scout is tiny, only the size of a largish USB thumb drive. It is a barebones unit, but despite its lean design, Scout is great at doing the two things it does do: Showing traffic and showing weather. Our experience with Scout was that it was tenacious at locking on to a tower’s signal and not letting go. The Scout displays its data on your ForeFlight app. Weather is free (FIS-B) and includes METARs, TAFs, AIR/SIGMETs, PIREPs, winds and temperatures aloft, TFRs, NOTAMs and more. For traffic, it shows aircraft equipped with ADS-B Out as well as rebroadcast traffic (from FAA towers). There’s no battery in the Scout unit, so you need to run a micro USB cable to the bottom of the receiver and then plug it in to either a 5V USB battery or other USB power source. The Scout draws very little current, so it can go for quite a long time on battery power. In addition to lacking a battery, Scout is also missing a GPS receiver. There’s no display of any kind on Scout, just a power supplied indicator light, so you control it though your device on the ForeFlight app. With its small size and light design, the Scout can be positioned anywhere you’d like, using the cute little suction cups that come with the unit. The Scout can work with up to four devices simultaneously. 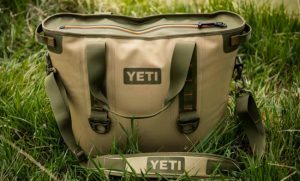 If you’re headed out flying and want to bring along some refreshments, one of the cooler (yep, that one was on purpose…) options we found this year is the YETI Hopper Portable Cooler ($199.99-$399.99). Built for adventure, the cooler fits easily in your plane for backcountry excursions or short city hops or cross-countries. Constructed from high-density fabric that’s waterproof and resistant to mildew, punctures and UV rays, the Hopper features a liner made from an FDA-approved food-grade material. Closed-cell rubber foam provides superior cold-holding compared to ordinary soft coolers, and six D-ring tie-down points offer multiple ways to secure the Hopper. A detachable shoulder strap and three different sets of reinforced handles make the stuff easier to carry. Available in a variety of sizes (price dependent on size), the Hopper has a three-year warranty. The smallest model can fit eight standard-sized beverage cans—with room for ice at a 2:1 ratio of ice to cans. The largest version has room for 34 cans and ice. Learn more at Aircraft Spruce. Handheld devices give pilots a way to ensure that, if they survive a crash, searchers will be able to find them, and quickly. The new AeroWave Text & Track handheld from BendixKing is a two-way satellite messenger, and, as the name implies, a location tracker. The Text & Track makes use of the Iridium satellite network to provide total global coverage, so no need to search for a cell signal. The device will send texts of up to 90 characters and receive up to 140 characters. It can also send any of 50 user-defined pre-set messages. Perhaps most importantly for pilots traveling in remote areas, the Text & Track can act as an S.O.S. beacon in the event of an emergency. Its rechargeable lithium-ion batteries are both user-replaceable and will operate for up to five days without needing to be recharged. In addition, the Text & Track can be paired via Bluetooth with a smartphone, which allows access to additional features through the smartphone app. An optional holder can be used to further integrate phone and tracker, allowing for power sharing and charging. As an introductory special, unit price for the AeroWave Text & Track is $399.95. A subscription is also required. 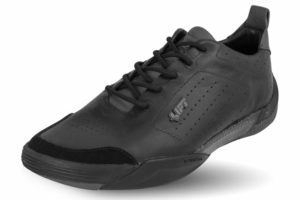 Lift Aviation recently launched a lineup of aviation shoes engineered especially for piloting. The idea of a shoe specially made for flying probably sounds strange, but after trying a pair out, we’re totally behind the idea. The top-of-the-line Dakota model ($189) is effective, classy and durable. As to what makes it an aviation-specific design, the shoe features what the company refers to as “heel sliders,” a pair of hard plastic raised steps running in parallel to the sole’s surface. The sliders, as the name states, slide smooth on carpeted or even rubberized surfaces, allowing the pilot to move their feet to the pedals quickly and with a minimum of resistance from the flooring. There’s also a generously sized forefoot section that allows for easy, full contact with the rudder pedals for positive control. The oil-resistant soles, like the rest of the shoe, are built extremely tough. The style component is pretty impressive, too. The full-leather, precision-stitched uppers would look at home at any event, from a Saturday hot dog roast at the airport to a business casual lunch with the work crew. While they’re attractive and really functional, they are designed to fit very snugly. The idea is to have no slop in the controls, so the shoes hug your foot closely. They are also stiff by design, so walking around in these high-performance shoes feels different, firmer and a little narrower than you’re probably used to. Learn more at Lift Aviation. 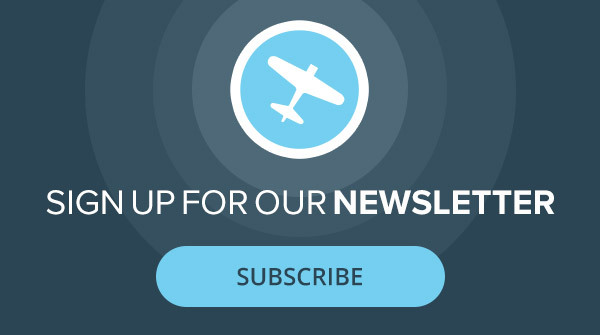 Want to read about more cool pilot stuff? Check out last month’s Gear now.